Kaisa knows she should be happy. To marry The Englishman, Peter, was a mere dream when she was a student in Helsinki. It’s now 1984 and Kaisa wants a career as well as Peter. But no one in Portsmouth wants to give a job to a young, foreign Navy Wife. Kaisa’s frustration creates bitter rows between the newlyweds, which Kaisa regrets each time Peter goes away to sea. When Peter is posted to serve on a Royal Navy Polaris missile submarine in Faslane, Kaisa has little choice but to follow him up to Scotland. Enter rich, charming and clever Duncan, who seems to have all the answers to Kaisa’s problems. With Peter away, can the lonely and bored Kaisa resist Duncan’s advances? Can Peter and Kaisa’s love stay on course? Nordic Noir meets Scandinavian romance in this 1980s love story. I was lucky enough to win this book on a Goodreads giveaway. I recommend The Faithful Heart to anyone who likes reading interesting and unusual novels about marriage and romance. Although I also recommend the first novel in the series, The English Heart, The Faithful Heart also works well as a standalone novel. Wondering and hoping now whether there will be a third book in the series… 5***** Debbie Young, Author and Book Blogger. Get this stylish European love story now! 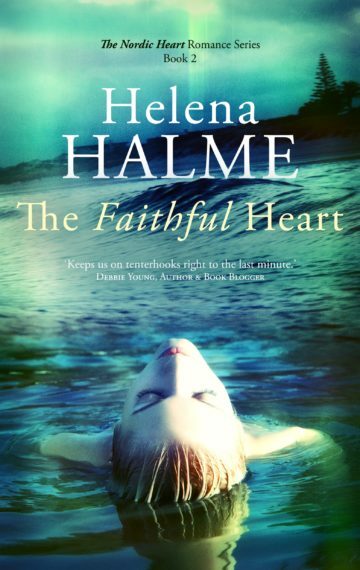 The Faithful Heart was previously published as The Navy Wife.